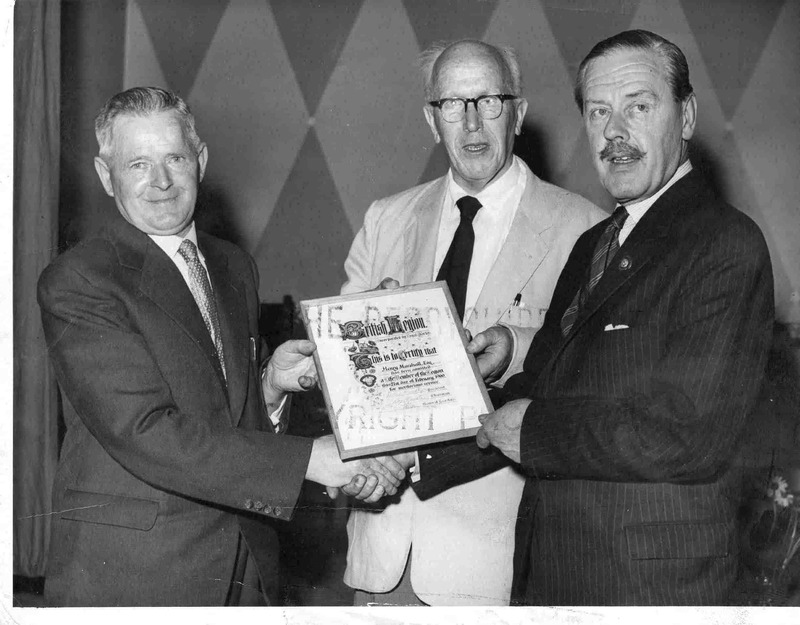 A British Legion presentation 21 February 1960. Harry Marshall, Dr Lipp, Unknown. Photo courtesy of V Hopkinson. This is my dear late father, with the doctor who ‘looked after me’ when I was a boy in Killamarsh, from1933 to1950 (at the latest), when I went ‘up’ to Nottingham University.